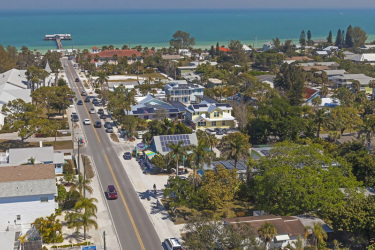 Anchored by four 100-year-old homes, the Anna Maria Historic Green Village nonetheless is a model for combining historic preservation with cutting-edge sustainable green technology. The village boasts that it's one of only 100 places worldwide to achieve the highest possible green building standard, known as Platinum LEED - PLUS. The village is the subject of a new PBS documentary that will air nationwide on Earth Day, April 22.